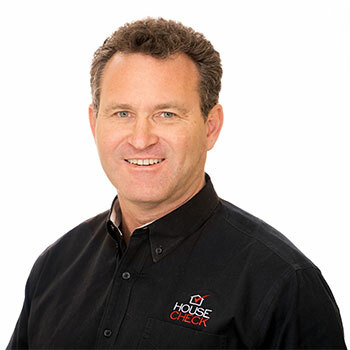 HouseCheck’s leadership team is the driving force behind the company’s growing success. These forward-thinking professionals are guided by innovation…efficiency…fiscal responsibility…first-rate customer-service…and a strong, enduring brand identity. Mr. Conforto is an accomplished entrepreneur and senior executive with over 35 years of experience and a strong portfolio of successes. Mr. Conforto is especially skilled in orchestrating the growth of start-ups and global firms including both private and publicly held corporations. He has demonstrated his diversified and unique skill-set through the optimization of many businesses in many different fields; including retail, manufacturing, software development and sales, publishing, media buying, e-commerce, online services and business consulting, resulting in Mr. Conforto being considered one of the world’s foremost experts in Retail. Mr. Conforto’s proven ability for elevating businesses into top revenue-generating entities has led him to be an in-demand motivational speaker, author and industry spokesperson. He has been CEO for many businesses and organizations, and has served on several Boards of Directors. Mr. Conforto has traveled over 8 million miles around the globe, and is accomplished in International Business and culture. 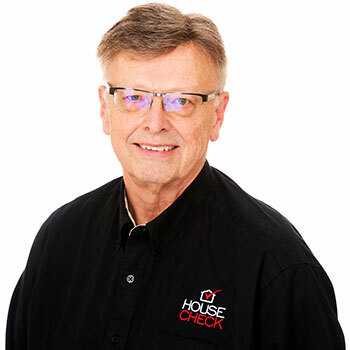 As President & COO of HouseCheck, Mr. Klehm has over 20 years of automotive-related experience, and has held several positions with management responsibilities in the automotive business, including finance, marketing, sales, product development, and manufacturing operations. Previously he served Chairman and CEO of Fallbrook Technologies and, as President and General Manager of Newgen Results Corporation, an automotive customer relations management firm. Prior to joining Newgen, Mr. Klehm served as President and SBU Director for Visteon Climate Control Systems Ltd. He helped develop and launch Visteon’s Aftermarket Division. He started his career with Ford Motor Company in 1985, and held a variety of posts within the Ford Customer Service Division where he was responsible for developing and executing the marketing/growth strategy for its customer service parts business. Mr. Klehm holds a B.A. in Management and Marketing from Northwood University and also participated in the Harvard Business School Executive Education Programs. As Executive Vice President and CFO for HouseCheck, Mr. McGraw has over 25 years of financial leadership and business operations experience. He has served in executive leadership roles and has held progressive finance, IT, and corporate strategy leadership positions in distribution and manufacturing operations, (both domestically, and internationally), product line management, mergers and acquisitions, investor relations, and shared services. He started his career in Commercial Banking with Pittsburgh National Corp, then moved onto the automotive industry with Ford Motor Company and Visteon Corporation, served as COO/CFO of a start-up company in Cincinnati, OH, and most recently was CFO/CIO and Corporate Strategy lead for Shaw Development in Naples, Florida. Mr. McGraw holds a bachelor’s degree in business administration and finance from Miami University and a master’s degree in business administration from The Ohio State Fisher School of Business. He is married and has 2 children. 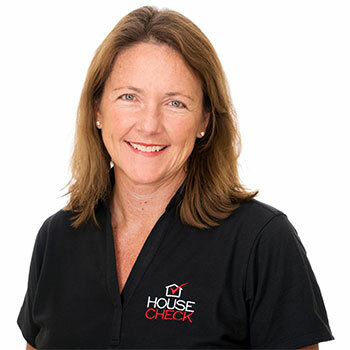 Dr. Edwards arrives at HouseCheck with an extensive, far ranging set of experiences. His curiosity and passion for helping, has led him to repeatedly and successfully tackle tough business, technology and innovation challenges for companies, large and small. He has been involved with numerous high-tech and medical starts-ups throughout his career: as a founder, investor, advisor and board member. Billy spent a decade with The Boston Consulting Group (“BCG”), where he worked across North America, Europe and Asia. Clients were a variety of industries, including Technology, Medical Equipment, Health Care, and Consumer Products. Joining Motorola’s Corporate Strategy Office, Billy was instrumental in driving strategy, M&A and partnerships globally. Subsequently in the Semiconductor Sector (Freescale, now NXP) Billy was part of a team that successfully turned around the $8B business. As Chief Strategy Officer with AMD (Advanced Micro Devices) Billy led corporate strategy and advanced technology, and additionally drove the creation and managed the embedded processor business division. Dr. Edwards holds bachelor, masters and doctoral degrees in engineering from Vanderbilt University. He also attended the University of Chicago Graduate School of Business. Billy holds numerous US patents. Mr. Parry is a highly successful senior-level executive with over twenty years of success in leading international marketing, customer experience, business development, and technology initiatives. As a career-long marketing and technology professional and entrepreneur, Mr. Parry has experience in functional roles and cross-functional general management capacities for start-up and high-growth public companies. Mr. Parry has a unique skill set in building and maintaining world-class teams in the technology, software, retail, CPG, consumer electronics, and e-commerce industries. As a participator in the local business community, Mr. Parry currently serves on several Boards of Advisors and is actively involved in the American Marketing Association and CMO Council. He also has affiliations with the National CMO Club, Intermountain Marketing Association, TechAmerica Executive Committee, and SIIA. Mr. Parry currently holds an active California Real Estate license, and has been recognized in the Cambridge Who’s Who. 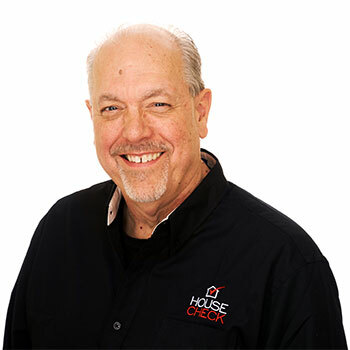 Prior to joining the founding management team at HouseCheck, Rick Rickards was an independent marketing strategist, providing brand analysis, marketing planning, and promotional program implementation for a wide variety of national and international clients. Over the years, Mr. Rickards has worked in numerous capacities, including Account Executive, Art Director, Copywriter, Video Producer, Publisher, Director of Advertising, Creative Director, VP Electronic Media, VP Creative, and VP Marketing. This wide range of hands-on experience prepared him well for helping to launch a national consumer brand like HouseCheck. Through his consulting firm, Rickards Marketing, Mr. Rickards perfected a proprietary consulting process, beginning with qualitative research for purposes of brand benchmarking, and proceeding through the development and implementation of marketing communications plans expressly designed to position each client for the realization of their goals. Mr. Rickards is a husband, father of three, grandfather of one, occasional voiceover artist, and semi-professional musician. 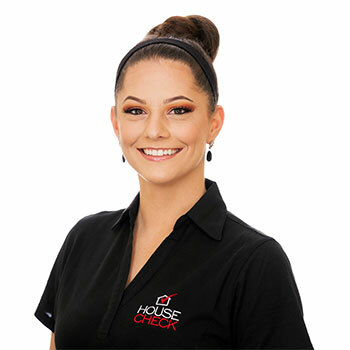 I had the opportunity to work with various brokerages both large and small and gained experience in every aspect of residential real estate including investment (flip and long-term), buying and selling side representation, rentals and property management, and worked both individually and in a fast paced team atmosphere. In 2012, committed to creating a high quality team of real estate agents I opened a brokerage in Gilbert, Arizona. Within its first year the brokerage was recognized by Ranking Arizona as on of the Top 10 real estate brokerages in Phoenix. 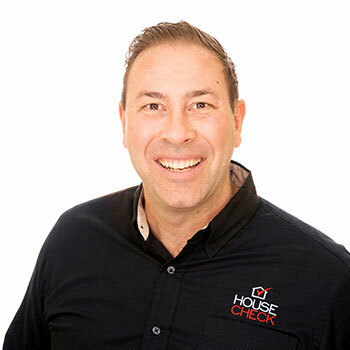 In 2018, frustrated by the direction of the real estate industry and without a voice large enough to change the industry as a whole I was introduced to HouseCheck and knew this provided the opportunity and voice large enough to make a positive change in the real estate industry. I now hire and train the HouseCheck sales force and work alongside them with brokers and agents to improve the overall consumer experience. I love people and helping making a positive change in their lives and businesses. I live in Gilbert Arizona with my wife and four children. I love going to the movie theater, playing golf, trying new restaurants and I’m a successful penny stock trader. I was born in Hawaii, grew up in San Diego, have lived in Idaho, Colorado and Australia for a short time and love raising my family in Arizona. 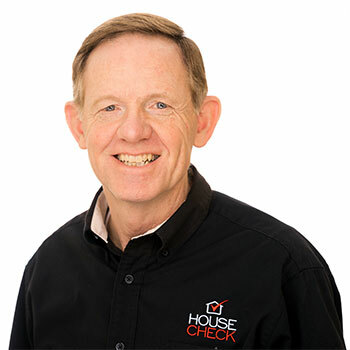 Perry Campbell brings an extensive background in construction and home inspection to his position at HouseCheck. Mr. Campbell began his construction career in the mid-80s, and by 1989, he’d been awarded a General Contractor’s license in California, and had started his own construction company, specializing in building new homes and remodeling existing homes. After relocating to Boise, Idaho in the early 90s, Mr. Campbell worked as Construction Manager, specializing in residential remodeling. Several years later, he started a side business as a home inspector. Mr. Campbell quickly discovered that inspecting homes offered him a great deal of personal satisfaction. 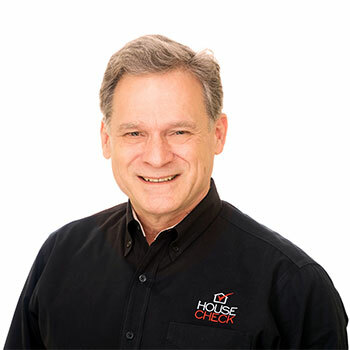 As a home inspector, he was able to combine his impressive knowledge of construction and home systems with his amiable personality and engaging people skills. 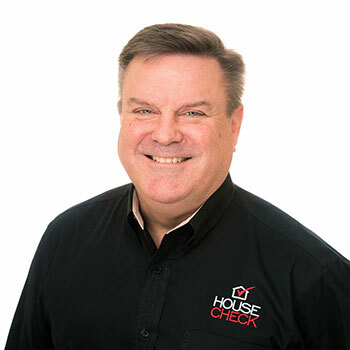 Today, Mr. Campbell is applying his acquired skills, natural talents, and considerable experience as a home inspector to his position as Vice President of Inspector Operations at HouseCheck. 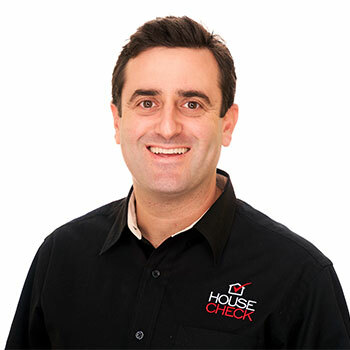 In this job, he’s responsible for assuring that HouseCheck Home Inspectors deliver an exceptional customer experience with every inspection. 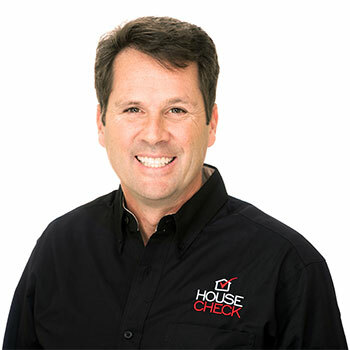 In short, Perry Campbell is HouseCheck’s Master Inspector. Mr. Campbell and his wife Kim, whom he met and married while serving in the U.S. Air Force, raised three children together, and now have thirteen grandchildren. When he’s not at HouseCheck headquarters, Mr. Campbell enjoys golfing and snorkeling — occasionally at the same time. He also has a creative side — he’s self-published five books, and is a singer/songwriter who enjoys sharing his music in church and at home with family. Over the past 15 years, Mr. Seidman has built a deep understanding of the start-up ecosystem as a start-up founder, a strategy consultant and as Principal & Strategy Director of PBS Investments, LLC., an early-stage venture club. Previously, he founded SMS Tattoo, LLC., a photochemistry start-up leveraging $300MM+ in IP. As President & CEO of SMS, Mr. Seidman sold SMS in 2017 growing shareholder value by 6X in 2 years. He has placed over $200MM in capital while providing hands-on strategic & operational guidance to each portfolio company. Additionally, Mr. Seidman has consulted on $200MM+ in M&A transactions. Participation spans general technology, SaaS, hi-tech, real estate, consumer products, bio-tech and financial services. Cross-functional fluency in technology, operations, strategy, marketing, strategic partnerships and human capital. Mr. Seidman received his B.A. in Political Science from the University of Southern California and lives in San Diego with his wife and two children. Ms. Kinlaw serves as General Counsel of the HouseCheck companies. She has 20+ years of experience as senior level and general counsel for public and private companies in primarily the technology and finance industries. She has led cross functional teams with respect to securities, finance, M&A, governance, compliance and general corporate matters. She has been senior level in-house counsel with 2 publicly traded companies – Financial Industries Corporation (Austin) and THQ (Los Angeles), General Counsel at Fallbrook Technologies (Austin) and has served as dedicated general counsel for start-up companies. Ms. Kinlaw holds a bachelor’s degree in Economics / International Studies from the University of California Los Angeles (UCLA) and a Juris Doctorate from the University of Texas. Francy Forbes is a highly productive expert at rapid implementation. She specializes in envisioning and implementing efficient and effective processes and procedures for any industry. She is a highly skilled driver in any fast-paced environment and is focused on reaching goals through attention to detail and quality. Francy believes that the key to developing a business is the development of its people; learning and leadership go hand-in-hand. She is highly skilled in the training and development of a company’s workforce from analyzing needs to developing a training system to implementation and review. Francy has earned a BS in Cellular and Molecular Biology and is a graduate of the San Diego County Deputy Sheriff Academy. She enjoyed seven short years in Law Enforcement before becoming a retail entrepreneur. Francy has owned and operated her own retail stores, and also spent many years as a General Manager and District Manager for big box retailers. Wendi is a driven accounting professional with over 10 years experience in a broad range of finance areas including full cycle accounting, reporting, financial modeling, variance analysis, taxes, insurance, human resources, payroll, budgeting and business processes. She has strong analytical and problem-solving skills, quickly takes decisive action and is a concise and effective communicator. 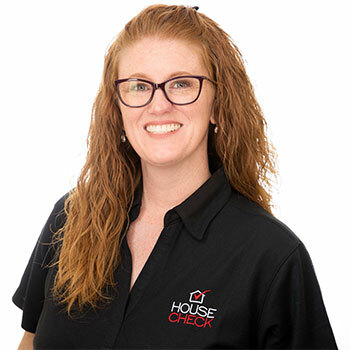 Prior to becoming Accounting Manager with HouseCheck, Wendi was a collections & customer service specialist, Realtor, served 9 years in financial accounting with a manufacturing company in Fallbrook, CA and 2 years in audit with a CPA firm in Boise, ID. 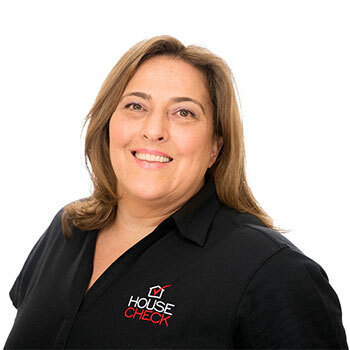 It is Wendi’s desire to continually learn and achieve more that led her to the HouseCheck opportunity. Rocky Detwiler brings his diverse background and unique skillsets to his roles. 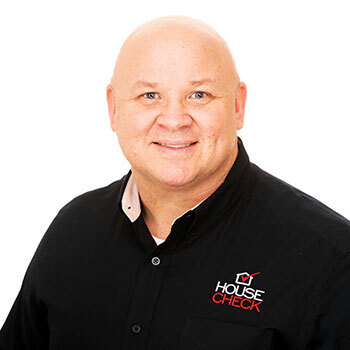 He is a founding member of HouseCheck, Senior Executive for MediaCheck, and co-host of the HouseCheck radio show/Podcast. Rocky has over 30 years of sales experience and is an expert networker. As an entrepreneur and executive business coach for many years, Rocky specializes in startup growth and leadership training. He has assisted companies in multi-million-dollar equity raises, product development, brand management, and strategic planning. Rocky and his wife, Cheryl Detwiler, host the HouseCheck radio show and podcast Doing Business Right. It is a weekly show featuring entrepreneurs, thought leaders, and business icons from around the country on how they are Doing Business Right! Rocky is an author, professional speaker specializing in the positive power of words, and has been featured on all of the major media networks. He is a loving husband and father of two teenagers. Kathleen Carreno is our Senior Project Developer with 10+ years of experience in manufacturing, marketing, sales, and organizational development. Kathleen shifts seamlessly between big-picture strategy and the smallest details to help guide employees and clients in connecting the dots through each project. Kathleen has extensive experience & is well-versed in project management methodologies, organizational change management, risk management, project planning, team building, communication, implementations of organizational change & software development projects. Kathleen was born and raised in Southern California and relocated to Utah in 2004. She’s a wife and mother of two beautiful children. Kathleen and her husband have owned and operated sushi bars throughout Utah in addition to maintaining her passion in project management. In her spare time, she enjoys creating culinary works of art, writing poetry, and spending time with her family outdoors.